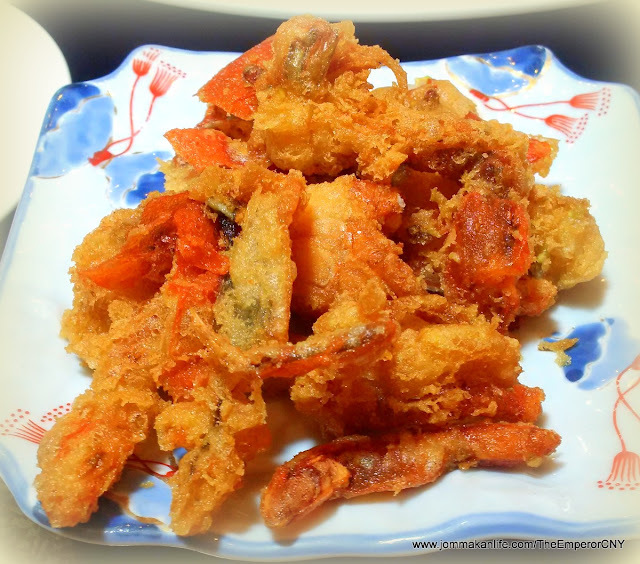 Crunchy deep-fried soft shell crabs emerged as the distinct element which made the festive Yee Sang outstanding at The Emperor restaurant this year. This together with shredded young mango and Korean pear brought refreshing twists to the festive salad we sampled. 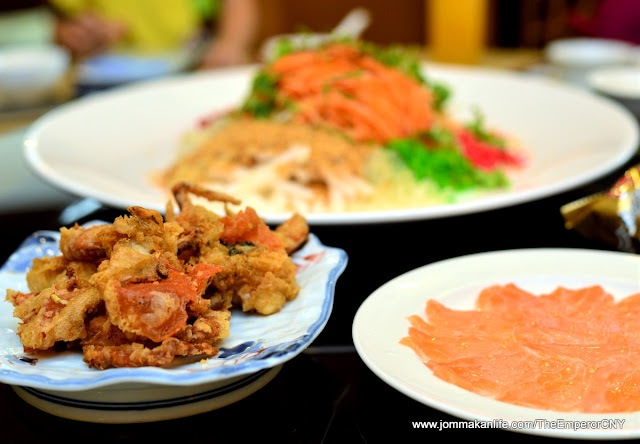 Diners can look forward to this delicious Soft Shell Crab Yee Sang alongside more ubiquitous Jelly Fish, Salmon or Baby Abalone variants for lou hei this Year of the Fire Rooster. 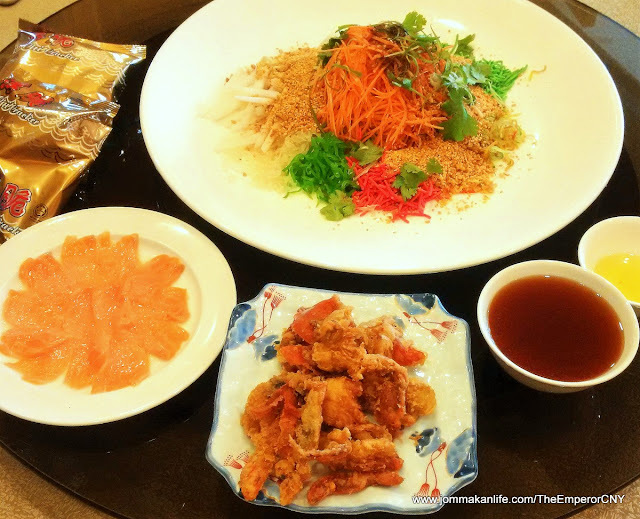 Priced at RM68-RM138nett per half portion and RM98-RM258nett for a full portion, Yee Sang is served for lunch and dinner daily throughout the celebration. A standing joke among those who know me is my lack of enthusiasm for most things soupy. 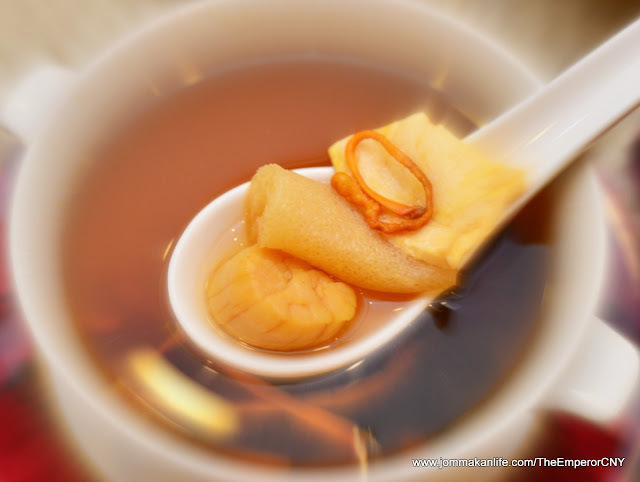 Still, I make an exception for reviews especially when it's a nutritious broth like the Double-boiled Cordycep Flowers with Dried Scallop, Bamboo Pith, Black Chicken and Fish Maw Soup. Such premium ingredients are nourishing for the soul so even I won't pass up on such a gourmet treat. 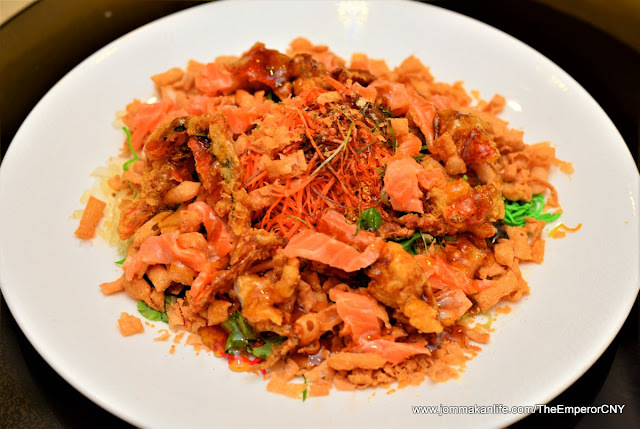 This wholesome broth is featured in the RM1,888nett set menu. 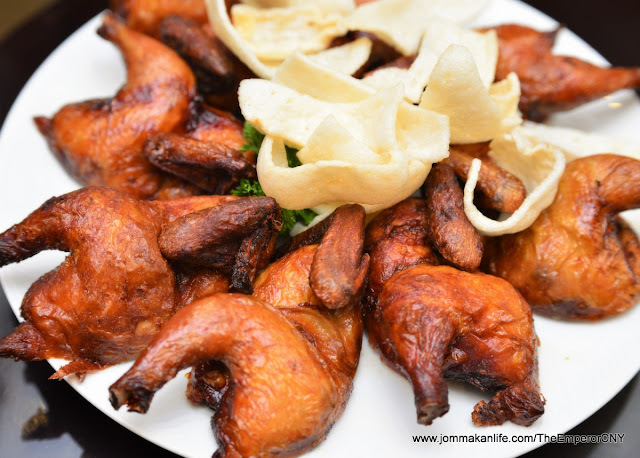 The sweet, sharp pungency of garlic was discernible when we bit into the tender, juicy meat of Golden Crispy Roasted Spring Chicken with Prawn Crackers. Frankly, the crisp skin and flavourful flesh barely needed the house-made chilli sauce served on the side, but an occasional dip into the tangy condiment managed to kick things up a notch. 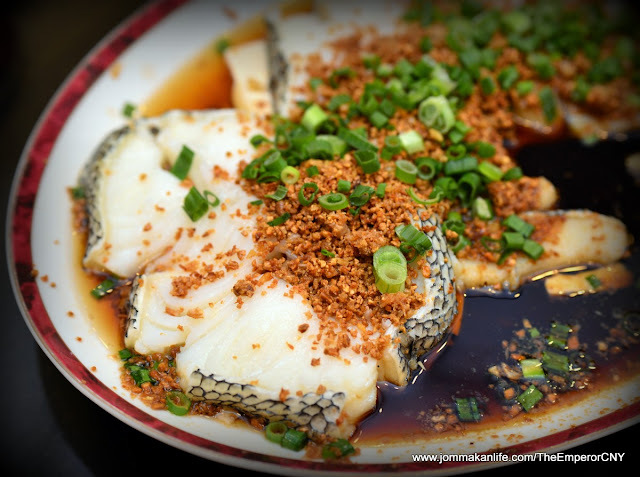 A CNY feast without fish would be unthinkable since yue is synonymous with abundance to us Chinese. 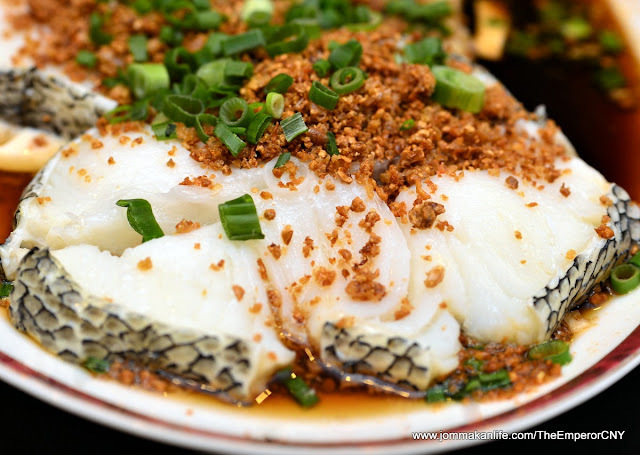 While Steamed Silver Cod with Taiwanese Beancurd and King Soya Sauce may sound tried-and-tested, the fish's delicate sweetness and smooth flesh complemented by silky slices of white beancurd had us hooked at first bite. I especially love the judicious balance of savoury-sweet accents from the use of premium soya sauce and deep-fried minced garlic. 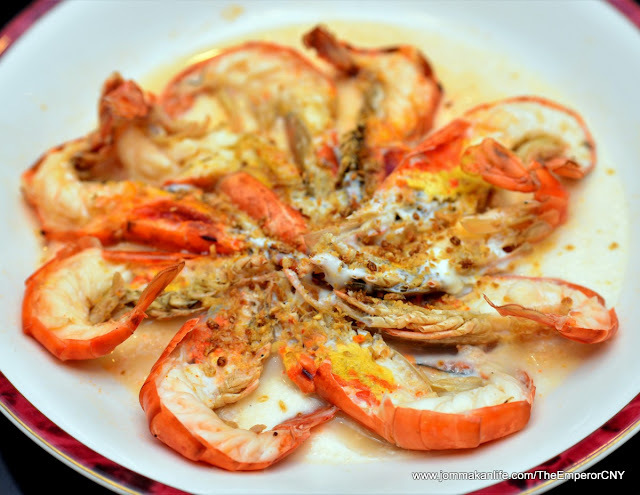 A bed of smooth steamed egg white served as the base to showcase tender halves of Steamed Fresh Water Prawns with Golden Garlic and Egg White. We detected a faint whiff of Chinese wine as we savoured the fresh, springy crustacean whilst lapping up the creamy roe and sublime jus. Sedap giler! Toothsomely QQ texture of the prawn paste made the palate-pleasing dish of Pan-fried Scallops utterly memorable. Guaranteed to put an extra spring in your step for the joyous festivities! The cluster of broccoli should ensure your green quota would be met too. 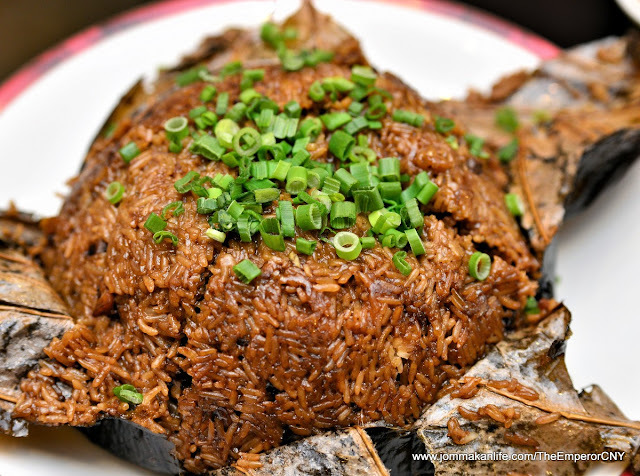 Instead of lap mei farn, a huge portion of Steamed Glutinous Rice with Diced Chicken, Yam & Duck in Lotus Leaves wrapped up the substantial parade of mains. 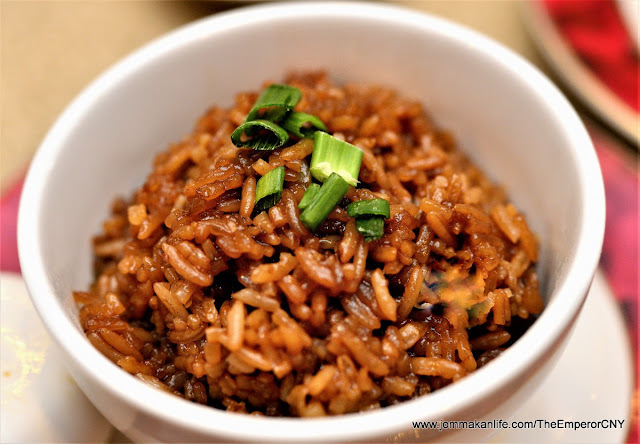 Carb die-hards would succumb to the hearty flavours reminiscent of hearth and home. 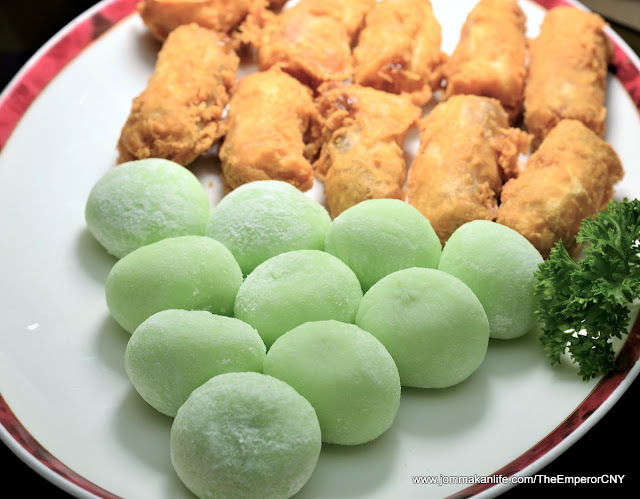 Sweet conclusion came in a platter of Deep-fried Chinese New Year Cake and Mochi Green Tea Paste. 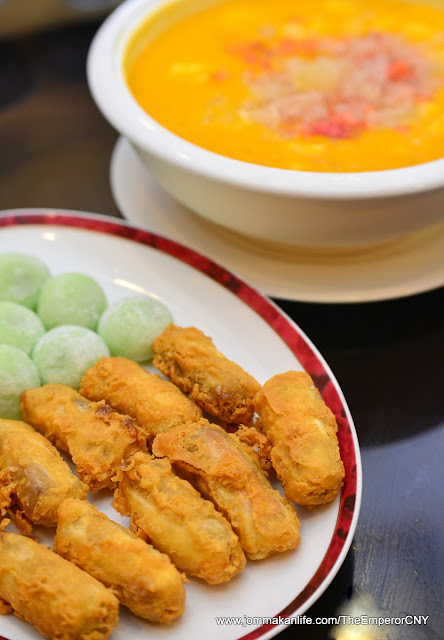 Mindful of today's health-conscious diners, both offerings were subtly sweet; teasing the tastebuds with different textures and adroitly combining the old (nin gou) and the new (mochi). Washing it all down with Chilled Mango Puree with Mixed Fruits & Sago, the whole plethora of festive specialities was indeed fit for an emperor. 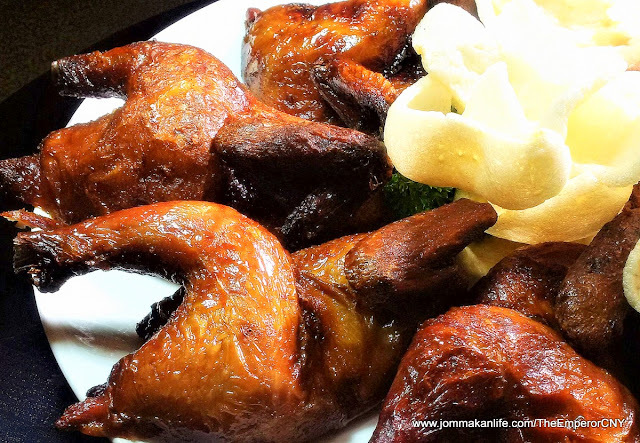 For the Fire Rooster Lunar New Year celebrations, The Emperor proffers four set menu options: Fortune of Gold (RM1,188 per table of 8-10 persons), Abundance & Wealth (RM1,388 per table), Luxurious Prosperity (RM1,688 per table) or Everlasting Prosperity (RM1,888 per table) for your picking. 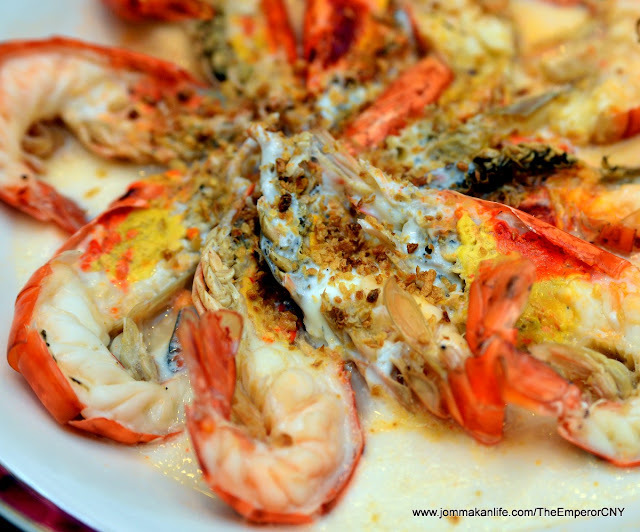 For reservations, please call The Emperor restaurant, tel: 03-5031 6060. Address: Level 1, Dorsett Grand Subang, Jalan SS12/1, Subang Jaya, Selangor.